This is a random reminder I know many Kenyans are born writers, that is a fact, not just an observation. 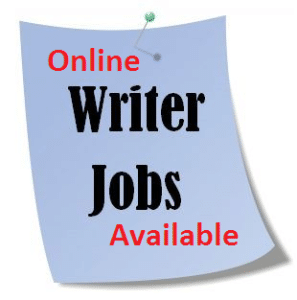 We have great writers who know their way with words so in this articles I will show you where to find online writing jobs in Kenya. The chances of getting employed in the country are growing slimmer and slimmer with every graduation ceremony that happens in Kenya. But there is always hope around the corner, in these internet times, there is an increase in the number of people working online in Kenya. Many of these people work online by doing writing jobs online in Kenya. The Internet is rich with self-employment ideas for writers, but not all of them can be trusted. If you do a generic search on Google, I am sure there are plenty of options that you will find. So how do you find the legitimate jobs from the scams and get online writing jobs in Kenya? Read on. Everybody is now working online in Kenya, will there be any jobs left for me? That is a very common question to people who are starting out and are looking for writing jobs online in Kenya. I will tell you this for sure, there are enough jobs online that Kenyans and anybody in the world that can do. The internet is always full of opportunities and will depend on with where you are looking. Before we go deeper into where to find writing jobs online, let me give you the Advantages and Disadvantages of online writing jobs in Kenya. For you to earn by writing online you must be able to differentiate the advantages and disadvantages of this type of business or work, the key to success is to never think about the problems, but the solutions. You can set your own work schedule that gives you more pleasure to write. You get paid in foreign currencies, you know how high that is compared to our currency at the moment, especially if the pay is in dollars or pounds. Work anywhere (home, office, café, hotel, beach, pool) with a computer, tablet or mobile phone. You are your own motivation and you decide when to push harder or relax. You will have to manage your money effectively, you may have months with very strong revenue and months without any income. In freelancing, we call them High and low seasons. When there is no electricity or the internet will translate to you not working and, therefore, no pay. Well if you compare the advantages and disadvantages, there is more on the positive side than the negative side. So instead of staying at home without employment get ready to learn more about how to find these golden opportunities. Let me warn you, the process of finding High-Paying Online Jobs in Kenya is a tiresome process, will need some hard work and long periods of searching online for the writing job opportunities. But do not worry for we got you covered and there is a solution to this, Keep Reading. The freelance writing challenge is often less writing and more difficulty in finding well-paying jobs, especially with the recent changes in the publishing industry and the excess writing on websites. Many do not pay a lot for articles but there are high paying online jobs for Kenyans out there, however, and with research and persistence, you can find them. Every writer started somewhere. Try your hand at freelance writing. 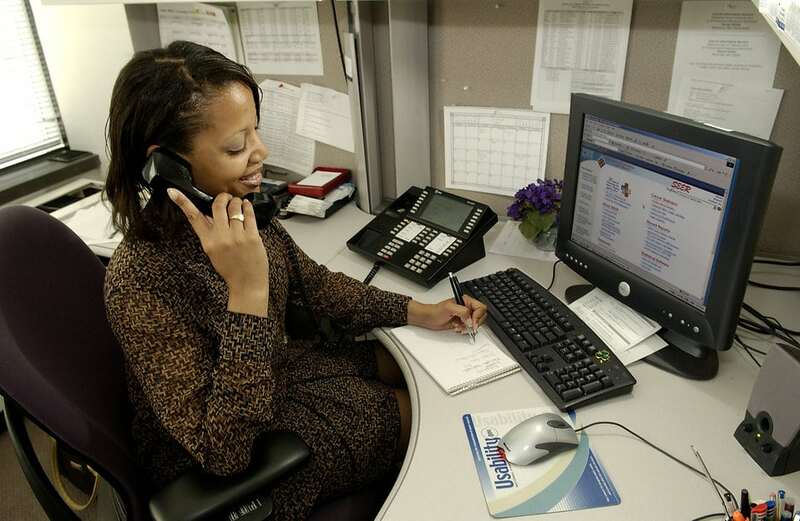 Find the online sites that list the types of jobs you are looking for. This is much easier said than done. There are a lot of useless sites out there. You can search for terms like “freelance jobs” and “freelance writing”, or you can start your search using the resources that others have gathered. Better yet check out my Ebook of a list of High paying writing Jobs in Kenya. Network. There is a common phrase in Kenya when it comes to finding jobs; “It’s not what you know, it’s who you know” the phrase is also relevant for freelance writing jobs in Kenya, as in many other careers. Some of the best freelance jobs are not advertised; They are filled by word of mouth. Join forums, join groups on social media, chat with other writers, send messages to online writers who are successful and ask them for tips. Visit online websites that publish books and magazines Look for a link that says something along the lines of “submission guidelines.” Print magazines and books typically pay higher than freelancing companies online. These jobs are harder to get, but it’s worth the effort. Spend some time browsing blogs. It has some writing clips available to show these editors. Sign up for free newsletters. Some freelance writing sites offer free newsletters. Create an email account just for newsletters and sign up for that include job postings. You can always cancel if you do not find them useful. Consider paying for legitimate information. Be careful and use common sense. There are a lot of scams out there, especially online. In general, you should not pay for job leads, but there are some legitimate resources out there that you can access for a fee. A well-known, trusted source is Writer’s Market, published by Writer’s Digest Books. You can buy the book or get an online membership to keep up. Do not give up, You can answer several job offers for every one you actually get there first. Do not be discouraged and do not give up. Rejection is a normal and expected part of writing. Read magazines about writing life, and you will learn that this happened to many of the best writers. Now tell me if that process is an easy one, You want to earn more money? then you have to sweat and work hard to earn more. But since you are reading this you are one lucky person, instead of working harder we are going to work smarter, how? By using the resources in my Book, I have already taken care of the process and all you have to do is get the book and visit the sites mentioned, sign up and start earning. A piece of cake, Huh! Have you ever browsed and read some blogs in search of resources for finding latest online writing jobs in Kenya? If you did then you will realize the following common answer about online writing jobs in Kenya. I must admit that the information given is very valid and that is where many Kenyans end up working online. The pay is not good, You will earn peanuts but do you have a choice? Most of the places to find these jobs are on Freelancing sites, finding work as a freelancer – even on these platforms – you will have to stand out among thousands of candidates. These platforms have in common the fact that registration is free and you will be charged a small commission for every “contract” entered into. There is no Kenyan who works online who does not know about iwriter, this is because on iWriter you do not need to bid to get a work. All you do is register and writing work is available you just have to write. There are many writing opportunities but you have to write according to the requester style. Original content is key and they can terminate your account anytime if you get low ratings. The pay ranges from as low as $ 1.25 per article. Formerly Elance-oDesk is one of the largest Freelancing sites in the world, Upwork has nine million registered freelancers and four million registered clients. There are a lot of jobs posted daily and many Kenyans work here. Freelancer is another of the largest freelancing site in the world. The international version of this platform has over 8 million users worldwide and is available in more than 200 countries. Like other platforms registration of freelancers is free. Only after completion of the work you will be charged a percentage of the amount billed. This platform is filled with many Asian workers who compete for the same positions as other Kenyans. In the world of freelancing platforms, Elance is one of the oldest and most reliable. Launched in 1999, it has more than 2 million freelancers in areas such as Web Design, Web Programming, Graphic Design, Writing, Online Marketing, among others. Here you can find about 50 000 job offers per month. With over 8000 deals available, Guru is assumed as one of the largest freelance work platforms. The site is popular in Asian speaking countries with very few Kenyans working on it. The site charges the “gurus” (freelancers) a commission which can vary between 5 and 10%. Despite being one of the youngest on this list, the popularity of People per Hour (released in 2008) is not far behind the others. If you want to work as a freelancer in the fields of Writing, Computer Programming, Graphic Design, Sales, and Marketing or Social Media, this may be the ideal platform for you. Considered one of the largest platforms for the exchange of services Fiverr has at its disposal more than 3 million “gigs” – Everything here goes for $ 5 nothing more, nothing less but be sure you will be charged a commission for every Gig offered. There are many people here in Kenya looking for articles and it depends where you can find them. Try contacting blogs like mine or join groups on Facebook that are related to Online writing. The above are some example of places where you will be sent to go look for work when searching for online writing jobs in Kenya. I know many people will be discouraged by the little pay you get writing on these sites. I did my research, interviewed some people on where to get High paying online writing jobs that any Kenyan can work and make a nice income online. UPDATE: The Book is no longer available but I am working on another resource. That is great and it has been a pleasure to go through the highlighted articles in your website and felt a great interest i joining you. Kindly you can guide me on how to join the smart kenya through my e-mail. Hi, i am so pleased and interested with the smart Kenya. Kindly please communicate to me on how to join you. Thank you. Hello my name is Naum Cassie am interested. Kindly inbox me on how to be part of it. Hi. This is really beneficial. I am absolutely interested. Could you help me put on how I can be a part of this? Am really interested. Could you please connect me with relevant sources. Hello, i am interested and would love to start writing as soon as possible. kindly advise me on the way forward. hello, I am Samuel. i am interested, would you please help me join. Hi, am Sam.How can I join this amazing team. Your contacts please. My name is Samson and I would like to join the team. Your contacts please. Hi!my name is Maxwel. am much intrested. Hi!my name is maxwel. I have been writing for months now. 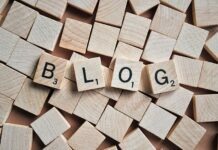 How can I access your blog to be part of your team? Hello? It is my great willingness to be part of the writing group. How can I commence this job? Peaklancer is the best site for content writers in Kenya today.